Fried chicken is an all-time favorite for many people. When freshly cooked, it should be hot and crispy outside and juicy inside. It’s simply mouth-watering, to be exact. When left at room temperature for some time, however, fried chicken can quickly lose its quality and become soggy outside and hard and dry inside. So, what are you to do if there are left over fried chicken that you want to eat? Simple – just reheat them before serving again or eating. 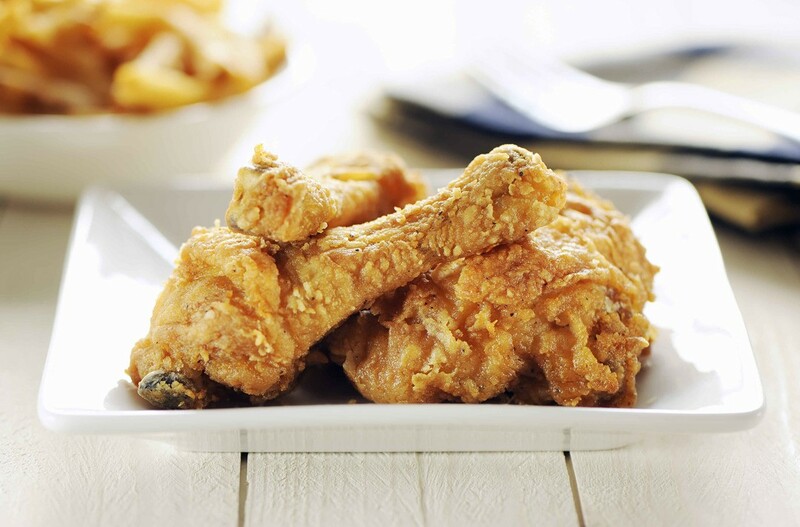 Reheated fried chicken will be ALMOST as good as freshly cooked – if you know how to reheat them right, that is. Well, that’s what this post is all about – it will cover the topic on the best way to reheat fried chicken. In fact, I will show you many different ways on how to go about in reheating this tasty dish (it’s one of my favorites, you see). As long as you don’t burn the fried chicken by refrying it, this method is a good way to restore it back to its original texture and quality (almost as good as the first time it was fried). I have listed the step by step procedures on how to do this so that you can enjoy eating your fried chicken again. To achieve a crispy exterior, allow cold fried chicken to stand at room temperature before reheating the parts (about 30 minutes). Prepare a skillet or Dutch oven to fry the cold fried chicken into. Heat a lot of oil. Although reheating fried chicken doesn’t require deep frying the pieces, using an ample amount of oil to submerge the pieces is still needed. Heat each part of fried chicken on medium high heat for about 2 to 3 minutes per side. When fully heated up, remove the fried chicken parts from the pan and place on a wire rack. Allowing fried chicken to cool off for about 5 minutes after cooking will result in a crispier skin. This step will also let any excess oil on the cooked fried chicken parts to drain off. Follow the steps above to re-fry fried chicken – the result will be fried chicken with crispy skin and juicy meat. Do not overcook when refrying, as this will dry out the chicken. A convection oven is designed in such a way that heat is distributed evenly throughout the cooking chamber. Because of this setup, reheating fried chicken in the convection oven (video) will result in a good quality reheated dish (like it was just fried) – with crispy skin and tender, juicy meat inside. Just follow the steps listed below. Allow cold fried chicken to achieve room temperature before reheating it in the convection oven. Get a baking pan and position the pieces of fried chicken there. Remove the fried chicken parts from the oven and place on a wire rack to cool. You can use a traditional oven to reheat fried chicken back to its original quality (almost). Follow the steps below to accomplish this task successfully. For fried chicken that has been kept in the refrigerator, allow the chicken parts to stand at room temperature for about 30 minutes. Get a baking pan and line it with a baking sheet. Place the piece (or pieces) of fried chicken on the baking pan. Position the baking pan on the center rack of the oven. Allow the fried chicken to cook or bake in the oven for 10 to 30 minutes. This will depend on the number of pieces and parts of chicken you’re reheating. When totally heated up, remove from oven. Get a wire rack and place the fried chicken parts there to cool down a bit and drain off any excess oil as well. Allowing cold fried chicken to stand at room temperature will result in crispier skin as even heating is achieved during the reheating process. To know if the fried chicken parts are already thoroughly heated through, they should be crispy on the outside and hot and juicy on the inside. When using the oven to reheat fried chicken, check on them every now and then as overcooking the chicken parts can dry them up (or worse – burn them up). If you have an air fryer, you can use it to reheat fried chicken even if you originally fried it on the stove. And of course, you can also reheat on the air fryer if you originally used it to cook your fried chicken. 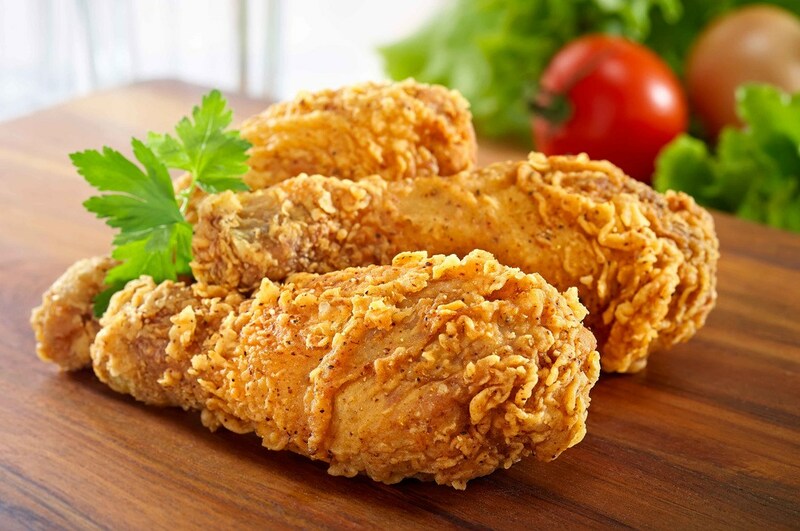 The steps to reheating fried chicken in the air fryer (video) are listed below. Allow fried chicken to stand at room temperature if you just took it out of the refrigerator. Position the pieces of fried chicken inside the frying bin. Reheat fried chicken at 400 degrees Fahrenheit for 5 to 10 minutes (depending on the number of pieces and the chicken parts). Allow to cool off by placing on a wire rack. Microwaving fried chicken (video) really isn’t the ideal way to reheat this dish as you won’t be able to make the skin crunchy this way. However, using the microwave is still the fastest way to heat fried chicken up (or any kind of food for that matter). So, if you are in a hurry, you can use the microwave first and then transfer the heated chicken to the toaster oven to finish off the reheating process. Follow the steps below. If taken from the refrigerator, allow the pieces of fried chicken to stand at room temperature for about 30 minutes first. Get a microwave-safe plate and put a paper towel over it. Place the pieces of fried chicken on the plate. Heat on high heat for about 1 minute. Feel free to add a few more seconds (or minutes) if the chicken is still not heated through. Check on the chicken parts. And if they’re thoroughly heated up, remove from the microwave. Transfer the reheated fried chicken parts to a baking tray and place in a toaster oven. Bake at 350 degrees Fahrenheit for about 10 minutes. Remove from oven and allow to cool off on a wire rack (about 5 minutes). If you can settle for reheated fried chicken with soggy skin, you can eat the chicken parts after microwaving them. It is only necessary to finish the reheating process in the toaster oven if you want the fried chicken skin to be crispy again. Yes, you can also use the toaster oven to reheat fried chicken. In general, the toaster oven can heat up fried foods (even the crispy ones) effectively because of the dry environment setting. To use this device in reheating your fried chicken, do the following steps. Let cold fried chicken stand at room temperature first (about 30 minutes). Wrap the pieces of fried chicken in tin foil to avoid drying them out. Cook at 350 degrees Fahrenheit for about 10 minutes (or until fully heated up). Check on the status of the food while reheating it (every couple of minutes). You can add more minutes to the heating time if the fried chicken parts are still not heated enough. Be careful when opening food wrapped in tin foil as trapped heat and steam can cause burns. When using oil to reheat fried chicken (such as when refrying it) use a type of oil with high smoke point (so as to avoid burnt taste). Use canola, vegetable oil, and peanut oil instead of olive oil or butter. When draining off excess oil from fried chicken (whether newly fried or reheated), use a wire rack instead of paper towels. Paper towel will still touch on the food and cause the chicken’s crispy skin to lose its crunchy texture. Refrying chicken can make fried chicken greasier. When using this method, don’t deep fry the chicken parts – and make sure that you allow excess oil to drip off from the chicken (using a wire rack) before eating or serving them. Reheating leftover food is not only economical – it also allows you to enjoy your favorite dish again. 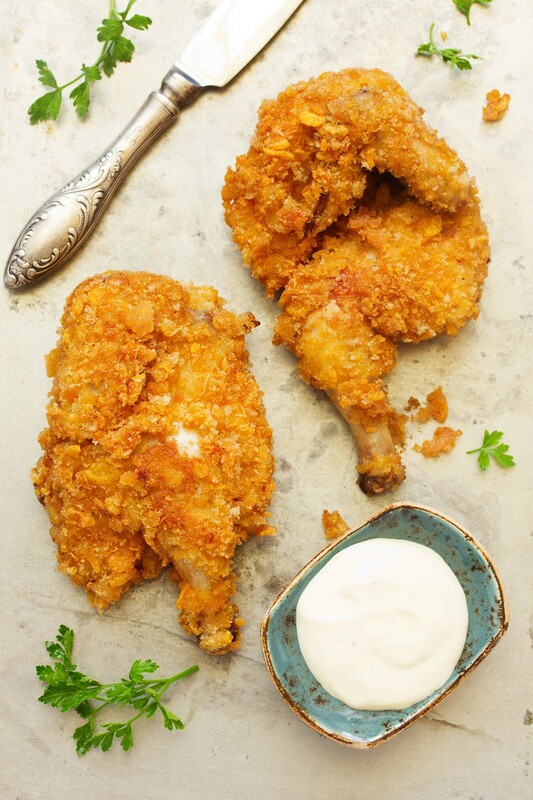 In the case of fried chicken, you can enjoy its crispy skin again and all its goodness even if it’s a reheated dish – as long as you know the best methods on how to reheat it (and you do now, through this article). The issue on whether eating fried chicken is good for one’s health or not is another topic. In my opinion, eating fried food once in a while is excusable (in general) – so, it’s really up to you. I’d say take care of your health and enjoy eating your favorite food as well (I’m sure you can balance everything and eat these types of food in moderation). 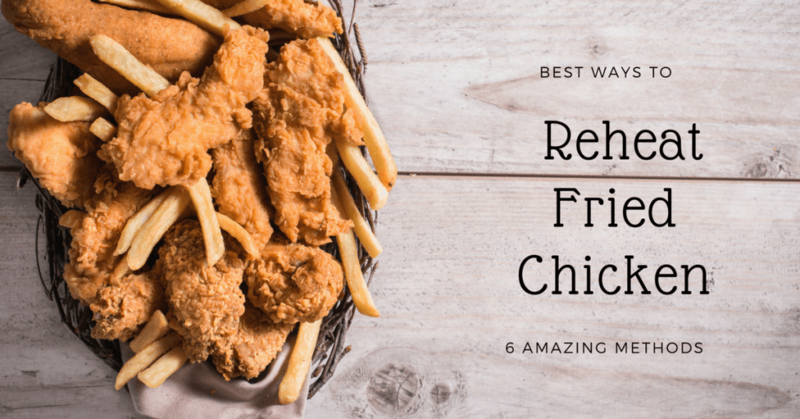 If you think this post has helped you make reheated fried chicken successfully, do share it with your friends. And if you know of some other ways of reheating fried chicken that I missed in this article, let me know in the comment section so that I can include it in the list.